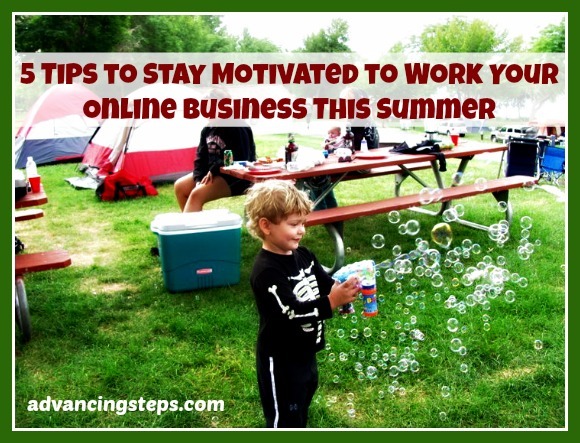 Staying motivated to work on your business can be difficult at any time of year, but it can be especially hard to stay motivated during the summer. The summer months can be very busy with family vacations, camping, barbecues, time at the pool or beach, not to mention the every day task of keeping kids from becoming bored during summer break. Start out by creating a list of the things you want to get done this summer. Write out how many blog posts you want to have published, how many emails and / or newsletters you want to send out, how many promotions you want to have, etc. Write out everything you want to have done in your business by the end of August. Once you have everything written out, you can make mini goals each week to get those things done. 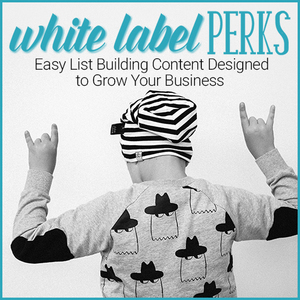 For example, if you want to have 25 blog posts written, break that down into a weekly goal. Having someone keep you accountable can help you keep your focus. Find a business friend who also wants to stay motivated and partner up. This can be a local friend or someone long distance that you met via social media. Make a point of meeting weekly – whether it’s at a local coffee shop, a phone call, or a Skype call, and tell each other your goals for the week. When you meet the following week, you can fill each other in on whether you met those goals. Knowing that you have to report back can put some fire under you to get things done. You don’t want to come back and say that you watched movies all week instead of working on your business. And if something does happen to prevent you from reaching your goals, your friend can give you some encouragement and may be able to offer a solution to help you reach your goals the following week. It’s important to limit your distractions when you work from home. For some people, this may mean they have to turn off the TV or limit their time on Facebook during “working hours.” Figure out what your temptations are and make a point to stay focused on your work. Don’t forget to give yourself a reward when you reach one of your goals. It can be something such as an afternoon off to enjoy the beach, a visit to the spa for a pedicure or whatever little indulgence makes you happy. You worked hard and accomplished your goals, so you deserve to have a little break!